On this blog, the occasions where we actually congratulate the government for something are extremely rare. Today is one of those occasions. 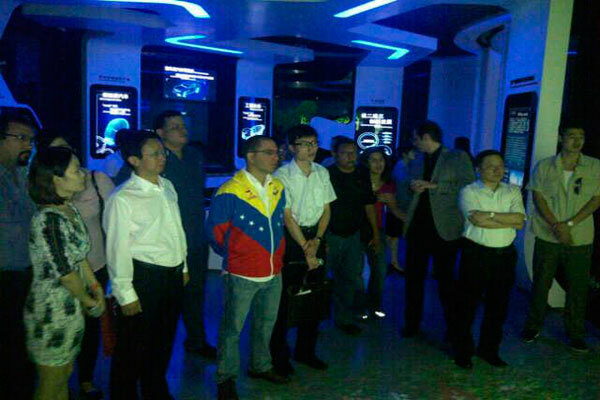 A few days ago, Vice-President Jorge Arreaza went to China. Instead of the usual “pulling-out-your-hat-and-begging-for-money” and leaving it at that, he instead begged for money … but also learned something about the Chinese economy. Guided by Chinese government officials obviously desperate for Venezuelans to learn something about economic policy (and secure their future cash flow), Arreaza visited China’s “Special Economic Zones.” These areas were the brainchild of the visionary Deng Xiaoping, and form the basis for the modern Chinese economy because, in them, certain rules and market forces are actually respected. These zones lie at the heart of China’s “new industrial policy,” whereby the State and private business combine to invest in technology, human capital, and export-oriented businesses. It would be nice if Mr. Arreaza became famous for something other than who he shares a bed with. He should learn from the Chinese as much as he can, and not use them simply as an ATM. Here at Caracas Chronicles, we have to celebrate any time these chavista bureaucrats learn something about the world outside of Cuba. We congratulate Arreaza on his recently discovered thirst for knowledge. Hopefully he can bring some of that back to Venezuela, to see if he can fix the mess that they’ve created.